Kristi has been with Send Rover Over since the beginning of 2012. 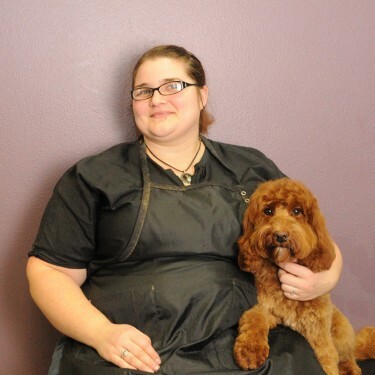 She has always had an affinity with animals and has decided to make pet grooming her career. We have discovered she has a special talent for Labradoodles, but she does a wonderful job on all breeds. Kristi shares her home with her dog, Rambo, two cats, husband, two children, and father in law. Kristi enjoys cooking, crafting and spending time with her family when she is not at work.